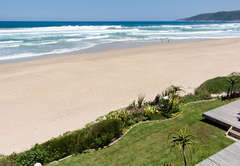 Beach Villa Wilderness is one of the Wilderness guest houses and provides accommodation in 6 guest rooms for tourists visiting the Garden Route region. 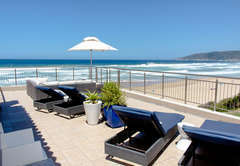 Beach Villa Wilderness Luxury Guesthouse is nestled between George and Sedgefield on the Garden Route. 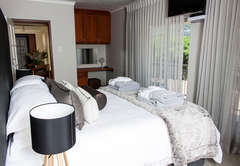 The guesthouse offers six fully serviced en suite bedrooms. 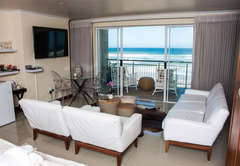 Each suite is tastefully furnished, includes all modern conveniences and has a private lounge. 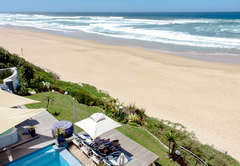 In summer you can enjoy a swim in the ocean or relax with a sundowner alongside the swimming pool. 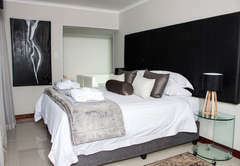 Situated on the top floor on the Eastern side of the house, sliding doors open to a private balcony with views of the Indian Ocean and the magnificent Outeniqua Mountains. 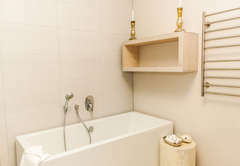 Bathroom is equipped with his and hers basins, bath, shower, bidet and separate toilet room. Separate walk in dressing room. 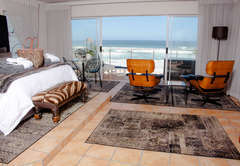 Situated on the top floor on the Eastern side of the house, double doors open to a huge shared balcony with views of the Indian Ocean and the magnificent Outeniqua Mountains. 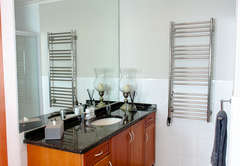 Bathroom is equipped with bath and shower. 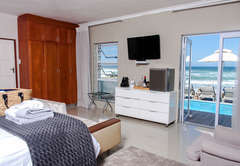 Situated on the top floor on the Eastern side of the house, double doors opens to a huge shared balcony with views of the Indian Ocean and the magnificent Outeniqua Mountains. 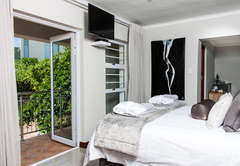 Another single door opens to a small private balcony with views of the Outeniqua Mountains. Bathroom is equipped with bath and shower. 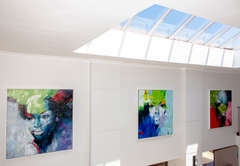 Situated on the ground floor on the Western side of the house, two interlinked rooms with sliding and double door open to the sea facing deck, garden and pool area. 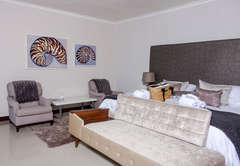 The two rooms share one bathroom equipped with bath and shower. 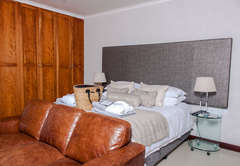 The suite is perfect for a family of four or five. 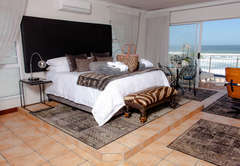 One Suite can be rented separately for two people. Situated on the ground floor on the Eastern side of the house, sliding doors open to the sea facing deck, garden and pool area. 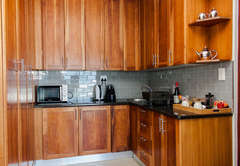 This suite is equipped with small kitchenette and can be used as self-catering. Bathroom equipped with bath and shower. 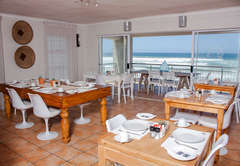 Breakfast is served in the dining room or on the patio overlooking the sea. 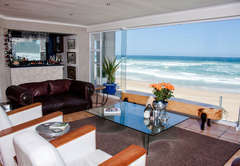 Situated on the top floor on the Eastern side of the house, sliding doors open to a private balcony with views of the Indian ocean and the magnificent Outeniqua Mountains. Bathroom is equipped with his and hers basins, bath, shower, bidet. 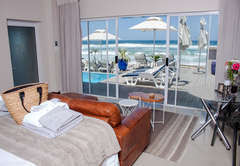 Situated on the top floor on the Western side of the house, double doors open to a huge shared balcony with views of the Indian ocean and the magnificent Outeniqua Mountains. Bathroom is equipped with bath and shower. 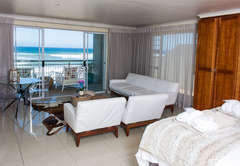 Situated on the top floor on the North Western side of the house, double doors opens to a huge shared balcony with views of the Indian ocean and the magnificent Outeniqua Mountains. Situated on the ground floor on the Western side of the house, two interlinked rooms with sliding and double door open to the sea facing deck, garden & pool area. 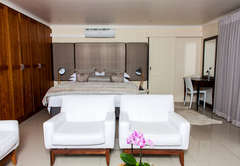 The two rooms share one bathroom equipped with bath and shower. 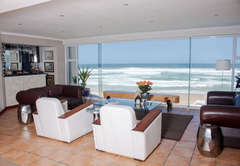 Situated on the ground floor on the Eastern side of the house, sliding doors open to the sea facing deck, garden & pool area. 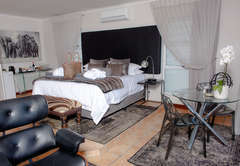 This suite is equipped with small kitchenette and can be used as self-catering. Bathroom equipped with bath and shower. 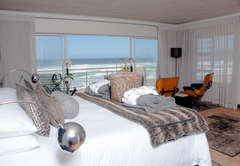 Situated on the top floor on the North Eastern side of the house, double doors opens to a huge shared balcony with views of the Indian ocean and the magnificent Outeniqua Mountains. 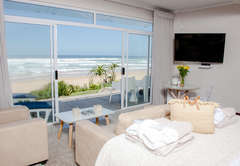 Response timeBeach Villa Wilderness typically responds to requests in 5-10 minutes.